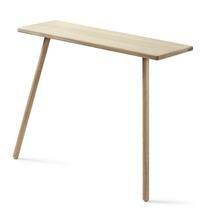 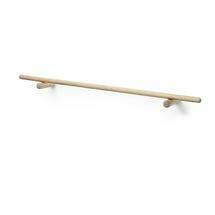 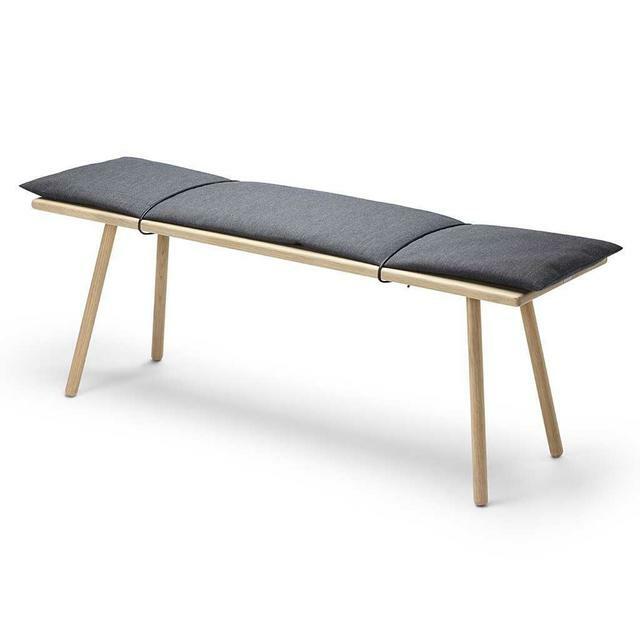 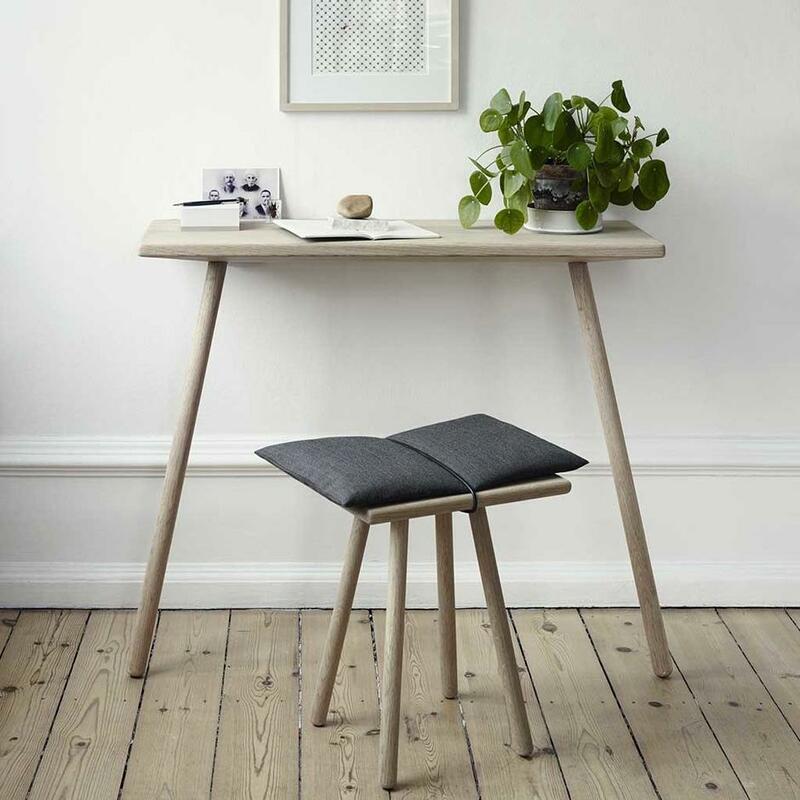 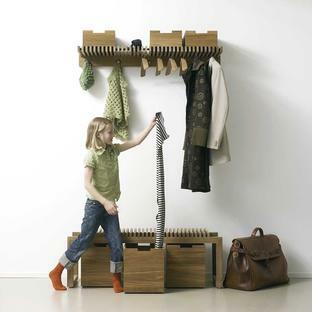 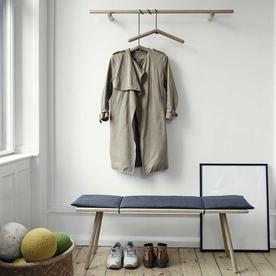 Beautiful Danish designed furniture for space challenged areas. Designed by Christina Liljenberg Halstrom, Georg is a collection of beautiful oak furniture for space resticted rooms such as hallways and entrances. 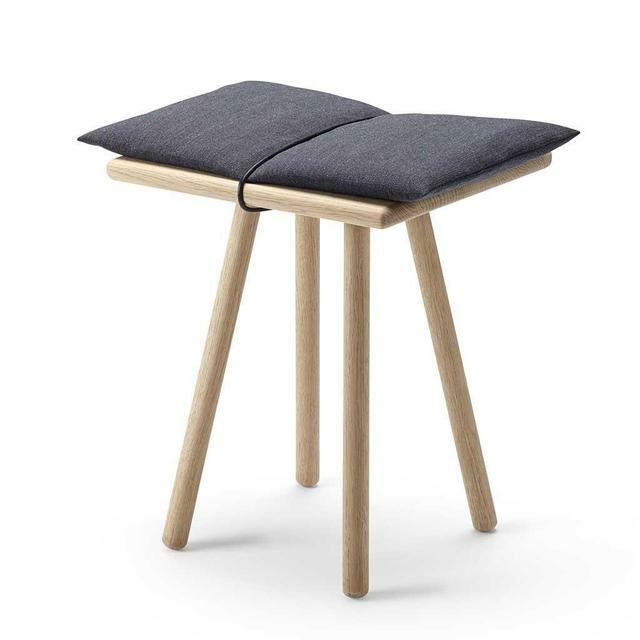 The table stands up against the wall, the bench and the stool can stand freely or can be comfortably pushed up against a wall. 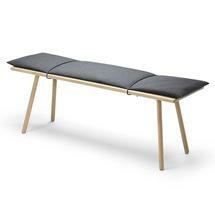 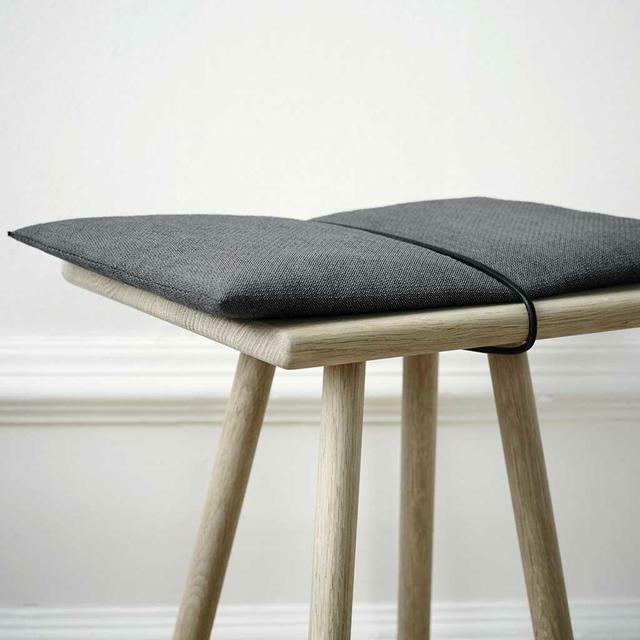 Both the stool and the bench have a mottled wool cushion discreetly held in place by a raw leather cord. 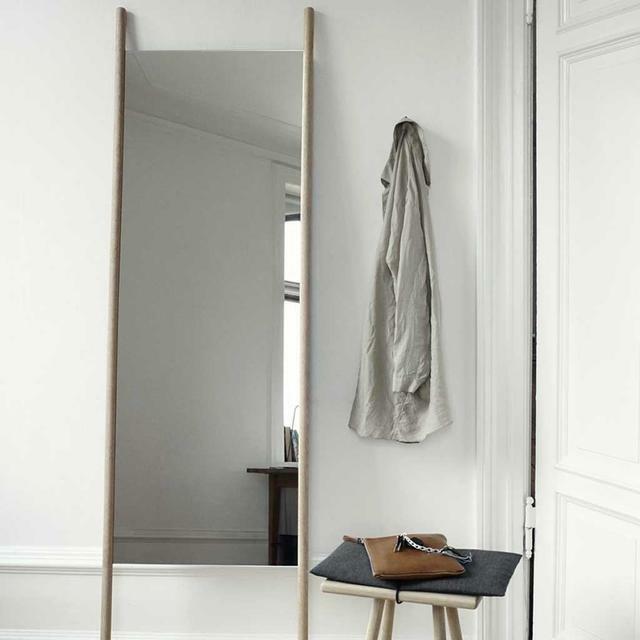 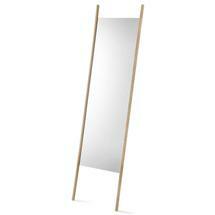 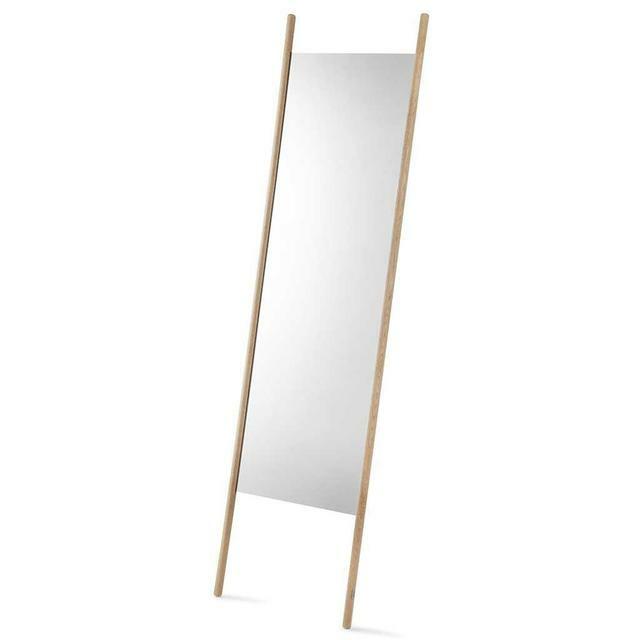 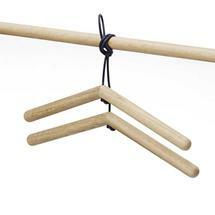 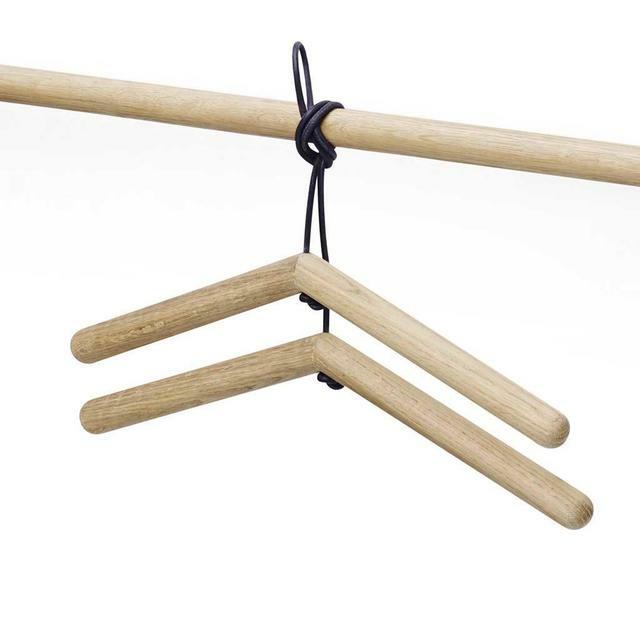 The mirror leans gently against the wall, while the coat rack keeps space to a minimum using with the "floating" coat hangers with leather cord (the coats hang forwards thus taking less space). 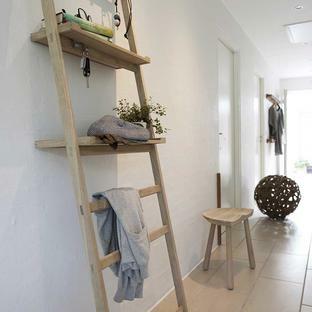 Relaxed, understated, practical hallway and small room furniture.